Announce to the neighborhood, family & friends that your little bundle of joy has arrived and It's A Girl! 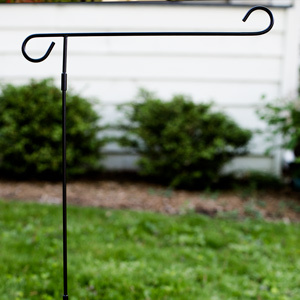 with our Personalized Baby Girl Garden Flag. 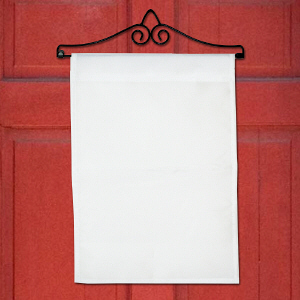 This colorful and handsome Personalized Garden Flag is a cute accessory for your front entry. 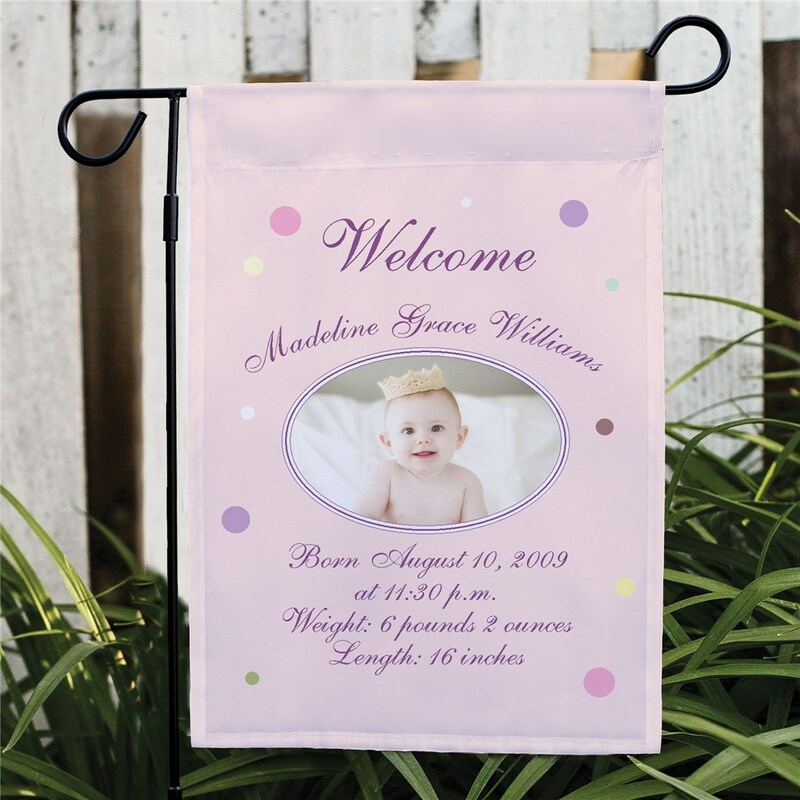 This Newborn Baby Girl Announcement design may be printed on our one sided or double sided, durable, all-weather 100% poly garden flag that measures 12 1/2"w x 18"h. You may wish to display this flag on our optional garden flag pole, door hanger or window hanger, sold separately. Free personalization is included. 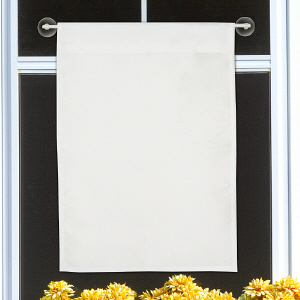 Personalize your Baby Announcement Flag with the Baby Girl's name plus 4 custom message lines and favorite digital baby photo. Please don't send photos in the mail, digital photos only. It was a gift so I haven't seen it yet. Additional Details GiftsForYouNow.com offers many unique and adorable Personalized Baby Gifts so Mom, Dad, Grandma and Grandpa can show off their new bundle of joy every day, all day. Shop GiftsForYouNow.com for all your Unique Baby Gifts today and save.